A Proclamation – Trees & Flowers & Birds! I love love love variety. It truly is the spice of life. I love surrounding myself with friends from all walks of life & who hold completely different perspectives on the world. That enriches my life & expands my mind. Brilliant! There are days when all I can think is that the world would be a MUCH better place for EVERYONE if the folks in charge all agreed with ME. 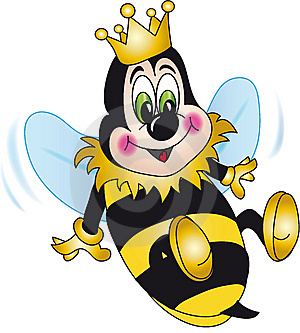 So says the Queen Bee – Make it so #1, would you please? Happy 4th! Now even more sparkly! lol! I have those kind of days too. Both kinds. Well — if I can’t be in charge who better than you.